Manual recovery mode. 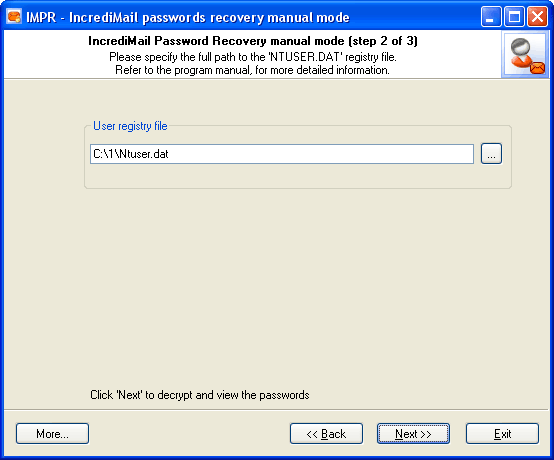 You should specify the full path to the registry file of your old Windows account. 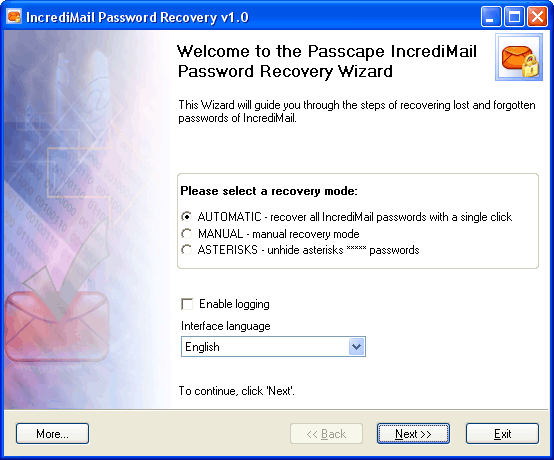 The final dialog contains found and decrypted passwords. 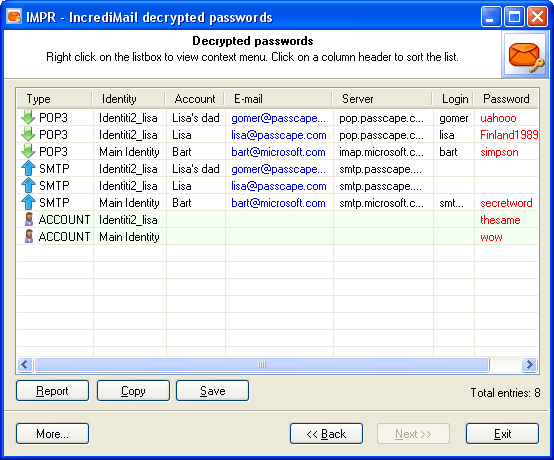 All found and decrypted passwords are highlighted in red. 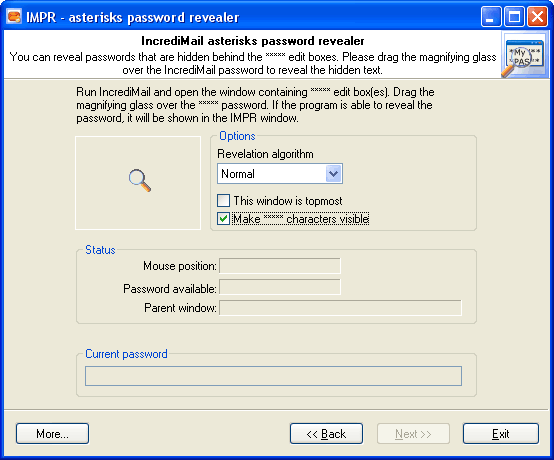 With IMPR you can reveal ***** passwords for many programs, not only for IncrediMail.